I have a lifelong dream of moving to southern France. Despite the improbability of such an event, it is a dream that will never die. I imagine myself riding my bike to and from town, returning each afternoon with a basket of fresh groceries for dinner. We drive to the coast for an afternoon in the sun or head to family-owned restaurants for traditional French cuisine. I befriend locals and always wear chic sundresses. The whole time the theme from Sabrina, one of my favorite pieces of music ever, plays magically in the air. Ok, ok. My fantasy seems to take place in the 1950s. In this scenario only, I am weirdly ok with that. Maybe Julia Roberts can make an appearance and Mona Lisa Smile the whole town into modern views on women's roles. All that to say, when I come across a book that exemplifies this ideal, I soak up every word. 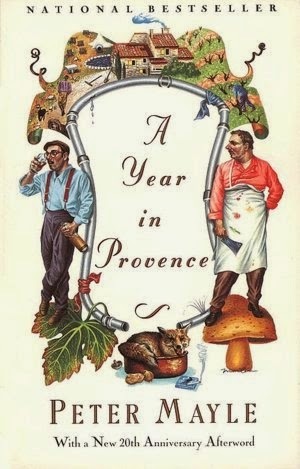 A Year in Provence proved itself such a book. 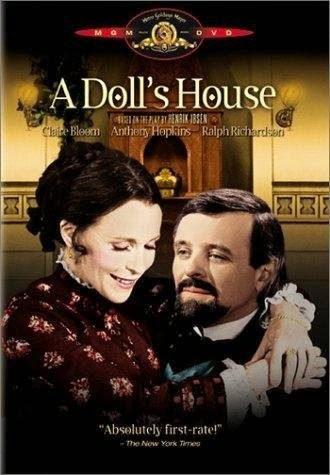 Last week, I reviewed Henrik Ibsen's work, A Doll's House. This is the first play that I have discussed here on the blog. I enjoyed stepping a little out of the typical mold, even if it was due to grad school assignments. After I read the play for class, my first move was to check for any film adaptations. Often with theatrical works, things are simply translated better visually. Before I dove into assignments about the play, I wanted to make sure I grasped as many of its nuances as possible. Thankfully, Netflix had this 1973 rendition available to watch instantly. Sidebar: What did the world do before Netflix? It served as a great supplemental experience to reading the play and I had many of the same feelings about the movie as I did the written work. And so we start the integration of my grad school studies with Read.Write.Repeat. In case you did not know, and I've mentioned it a few times, I am currently pursuing my Master of Liberal Arts. I am in my second term and it has taken over my life. I am counting the weeks until tuition is paid in full and I can quit my marketing job and pick up more teaching positions. For me, being a student is the ultimate career. Sharing that knowledge is a close second. Today's post is a little abnormal, all due to my attempt to kill two birds with one stone. 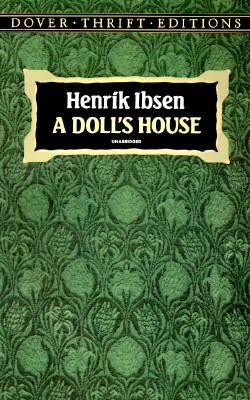 I had to read Henrik Ibsen's classic play A Doll's House for my Interdisciplinary Liberal Arts course (yeah, that's a mouthful, I know). I am in the process of writing a paper analyzing it. Seems a waste not to share it with you as well. Don't worry - you're getting the super condensed version with my actual thoughts, not the academic paper version. I started including this little update in a post last week, but then it got a little lengthy, so I decided it deserved a post of its own. I wanted to let you all know that the frequency of posts is definitely going to be slowing down over the next few months. I have mentioned it before, but I have started grad school (loving it, by the way!). This term is my first taking a full load and I am suffering a bit of syllabus shock. Full time job + full time grad school + 2 part time jobs = one hectic schedule. My free time is quickly getting consumed by coursework rather than books. I'll be reading a few for a class this term and I plan to share them with you. Over all, though, I doubt you're interested in reading a review of Essentials of Online Course Design. That said, I am still excited about the things coming up on the blog! I'm (slowly) making progress with the 100 Best Novels challenge and I have some excellent book tours lined up in the coming months. If you are ever interested in doing a guest post, I would love to have you! Seriously! Have you read something lately that you just loved? Contact me via Facebook and let me know! I'd love to feature your thoughts on what you are reading - even just a couple of sentences! If my decreased pace has got you down, don't forget that you can always pop over to the Books Completed page to see the catalog of every book I've posted about in the past two years. There are some truly great ones there! You can always contact me for a more personalized recommendation, too. Just let me know what kind of books you like and I'll send a list of ideas your way. I don't know where you live, but here in the Midwest, we have finally gotten some beautiful weather. It's mid-60s and gorgeous today. Too bad it might snow tomorrow. All this cold weather has been great for reading and cozy nights, but I am more than ready for summer! 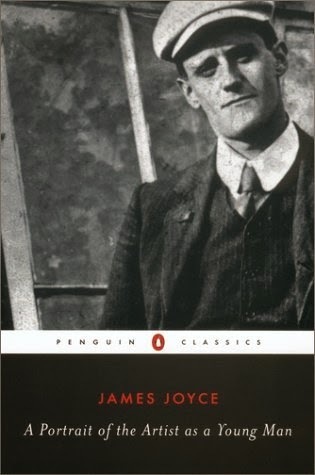 After my rough experience with James Joyce last year, I can admit that I was dreading this step on the 100 Best Novels journey. Ok, ok, before all you Joyce lovers start up again, you should know that I now realize I should have used some sort of guide when I read Ulysses. My fault there. I'll have to try again when I am older, wiser, and ready to hold Joyce in one hand and a companion guide in the other. I can assure you, that will be many years from now. With all that in mind, I tentatively approached A Portrait of the Artist as a Young Man. I have approached the Modern Library list with a very loose top-to-bottom approach. Portrait is #4. The time had come. I had given myself enough space after Ulysses and figured it better to get it over with quickly than dread it for months or even years to come. Despite all my trepidation, Joyce surprised me. Thanks again to TLC Book Tours for connecting me with a great book I would never have discovered otherwise. I know I say it every time, but book tours have expanded my reading so much. They are introducing me to new books, authors, and even genres. I hope that you are enjoying the variety as much as I am! 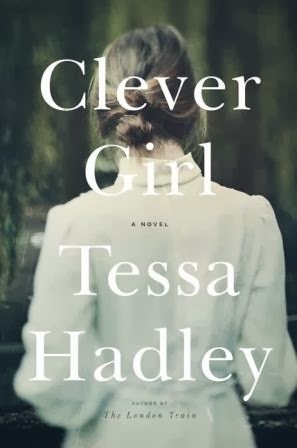 Tessa Hadley's novel, Clever Girl, follows the life of Stella from her 1960s childhood in Bristol, England to her present day life at middle age. "It is a story vivid in its immediacy and rich in drama - violent deaths, failed affairs, broken dreams, missed chances. Yes it is Hadley's observations of everyday life, her keen skill at capturing the ways men and women think and feel and relate to one another, that dazzles, pressing us to exclaim with each page, Yes, this is how it is." That quote captures so well the mastery of this book. Hadley has written a book in a style in which I imagine someone telling their life story. Stella shares important moments that shaped her, lingering over people and events that have obviously deep emotional ties. She does not give away all the details and she skips over years at a time. Instead, you see her story through memory and the subtle alterations of hindsight. Another Movie Monday, another mid-century adaptation of a literary classic. 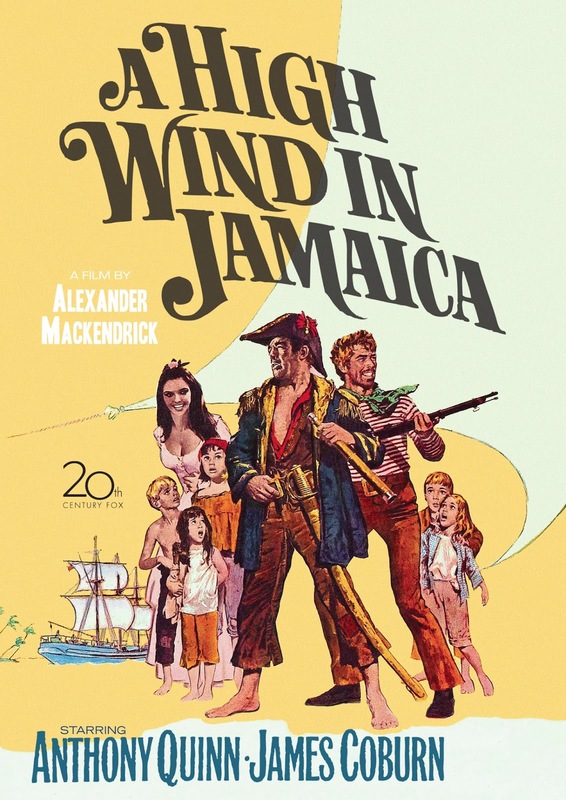 I read Richard Hughes' A High Wind in Jamaica last summer and loved it. My post at the time said: "This...is exactly the sort of book I was hoping to find [by doing the 100 Best Novels challenge]. It is a novel rich in character and symbolism, while retaining an engaging plot." For me, the movie achieved none of that. And now another one of those books I simply cannot believe it took me two and a half decades to read. As I work my way through Modern Library's 100 Best Novels lists, I am continually surprised by my inexperience with some of the books. Certainly, there are plenty of obscure titles, which I look forward to discovering without any preconceive notions. It's the untouched celebrities that catch me off guard. Those come prepackaged with expectations and spoiled plot twists. I attempt to approach them without these burdens, seeing them with the innocence of ignorance. I rarely succeed. These books have achieved their rank on Modern Library's ladder for a reason: they have permeated culture and, among the educated, one is expected to have a functioning knowledge of them. So how did I make it through a full liberal arts education without picking up Lord of the Flies and some of its compatriots? I grabbed the audio book edition of this classic to share with Kevin and I am so grateful I did. 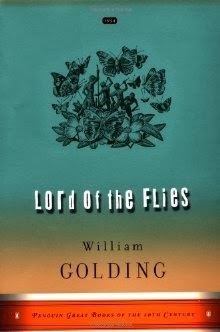 The edition we listened to was narrated by none other than William Golding himself. He added his own thoughts on the work as both a prologue and epilogue. I always find it fascinating to hear what an author says about their books. Golding was no exception. This week is going to be all about the 100 Best Novels challenge. I am warning you right up front. I have not reviewed a book from the list in nearly two months. I have been caught up in book tours and other things. Honesty, I have been at a bit of a stand still with some of this project. The long, dreary winter has left me longing for light, cheery stories. Most of those classics...well, they just are not that. I know, I know. A little crazy coming from me, lover of sad, tragic endings. 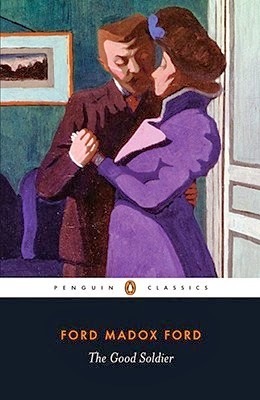 Ford Madox Ford has two novels on the prestigious list, The Good Soldier being the first. The book has nothing to do with military men, as the title might suggest. Rather, it tells the tale of two marriages. The narrator, John Dowell, shares the story as though you were sitting fireside with him. Pieces are aligned only as well human memory would allow them to be. As the story progresses, you see Dowell's understanding of the events come to fruition as well.